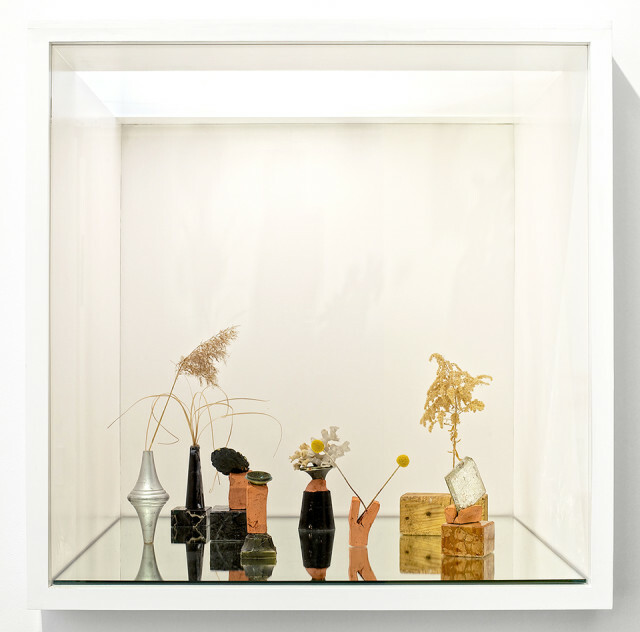 ‘to the letter’ is a unique installation of Henrik Strömberg’s collection of objects which regularly occur in his images. In relation to the theme of ‘Collecting Mode’ these objects suggest future series of images and past collections of materials now lost, forgotten, re-interpreted, broken. 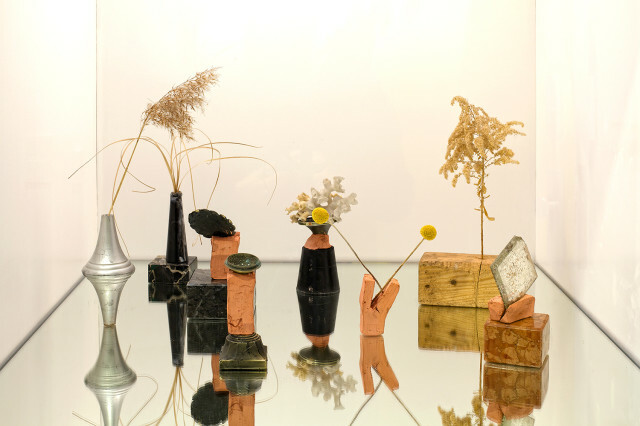 Delicate natural materials, such as dried flowers bear equal importance to marble, brass and ceramic forms. Presented as if staged they also become image like, frozen by ‘Der Würfel’ for the duration of the exhibition. Strömberg’s distinctive approach is charaterised by his sense of ephemeral delicacy applied equally to destructive notions towards materiality. Henrik Strömberg, Sweden, 1970 – lives in Berlin. Solo exhibitions include; “faint single chime pause as echo die” – IMAA #1 (online: 4n61w.wix.com/ imaa#!faint/c1lug); Second Life, First Place – Konrad Fischer Galerie, Berlin ; Vanishing – Galerie SAKS, Geneva, Switzerland  & CirkulationsCentralen, Malmö Hässleholms Konsthall, Sweden . Strömberg graduated with a BA in Fine Art, Camberwell College of Art from the London Institute in 1997 and an MA in Photography, FAMU, Academy of Performing Arts, Prague 1999.